Hey soapies , first off thanks for looking at my previous blog ☺️ really appreciate the support 😘. Today’s little blog is on the soap and glory love at first blush . I have been asked if soap and glory is a great brand many times and I really feel it is and if you have not checked this brand out please do . If you have any questions do not hestitate to ask . 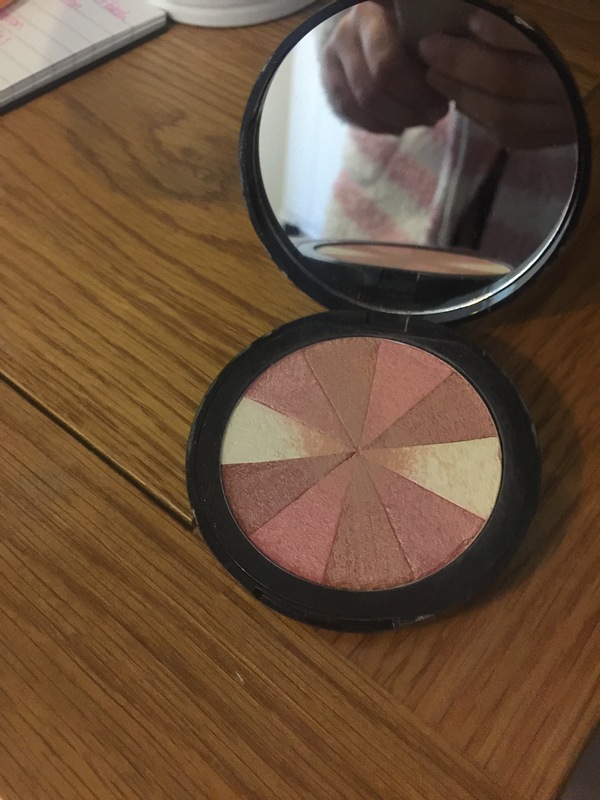 So … how long have I had the blush ? – for just under 2 months and have used it from the day it arrived . Where did I buy it and is it easy to buy ? – I bought mine of an app called vinted . It was easy to buy and it’s easy to buy on the high street as boots used to sell it I’m unsure if they still do . Is it the correct colours for my skin tone :- yes it definitely is correct for my vampire skin tone ! Have I had any allergic reactions ? – no , none at all . Can you feel it’s on your face ? :- no it’s light and does not make you feel like your wearing a mountain of make up which is good . How do I apply it :- I apply mine with the buffing brush by real techniques. If you have not used real techniques I suggest you get some more brushes !!! I love these brushes . Any cool features ? – it has a mirror !?!?! Next Next post: Whisper Wednesday my secrets… for longer lasting red lips!